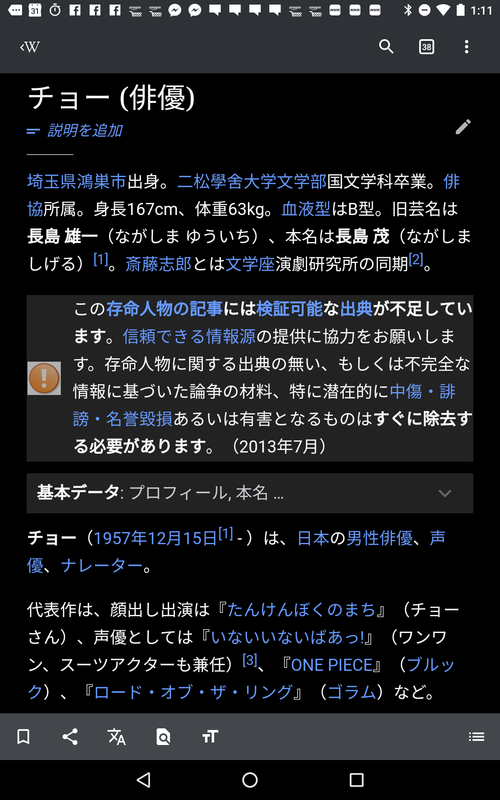 First paragraphs of some specific (ja.wp) articles come second, when viewing with iOS/Android app. Not all articles, but for some articles (not sure what is the trigger of this phenomenon). "<p>類似する名称を持つ店舗チェーンとして<a href=\"/wiki/餃子の王将\" title=\"餃子の王将\">餃子の王将</a>があるが、こちらは株式会社<a href=\"/wiki/王将フードサービス\" title=\"王将フードサービス\">王将フードサービス</a>が<a href=\"/wiki/京阪神\" title=\"京阪神\">京阪神</a>地区を中心に展開している<b>全く別の</b>チェーンであり、業務上の関係は一切存在しない。</p>\n\n<p><b>大阪王将</b>（おおさかおうしょう）は、株式会社<a href=\"/wiki/イートアンド\" title=\"イートアンド\">イートアンド</a>が展開している中華料理店チェーン。</p>\n\n"
which actually switches the first paragraph ( <b>大阪王将</b>（おおさかおうしょう）は、株式会社<a href=\"/wiki/イートアンド\" title=\"イートアンド\">イートアンド</a>が展開している中華料理店チェーン。</p>) to the second paragraph. Would that be an issue of the endpoint? I haven't tested this, but it looks like the true first paragraph is being skipped in the LeadIntroductionTransform transform from wikimedia-page-library because it does not contain at least 50 (minEligibleTextLength) characters. The assumption of a 50-character minimum for a reasonable paragraph is probably not valid for languages with non-Latin alphabets. bearND added subscribers: Mhurd, Niedzielski. Yes, that is done in the page library. The page library could detect if the content language is Asian and then chose a smaller minimum, let's say 20 or even lower (any suggestions?). I slightly prefer the latter version since we wouldn't have to hard-code a list of languages and don't need to look at other areas of the DOM. We could chose to include all characters >= \u0600, which means starting with the Arabic Unicode block. Or at the very least start with \u3000. Even 10 or 15 might be safer for CJK if the article is a sentence. I might only need 6 characters to build a sentence. Different languages can vary a lot. But if the only motivation is to avoid <br> tag why not bring the condition into the detection? Another idea is to use entropy.